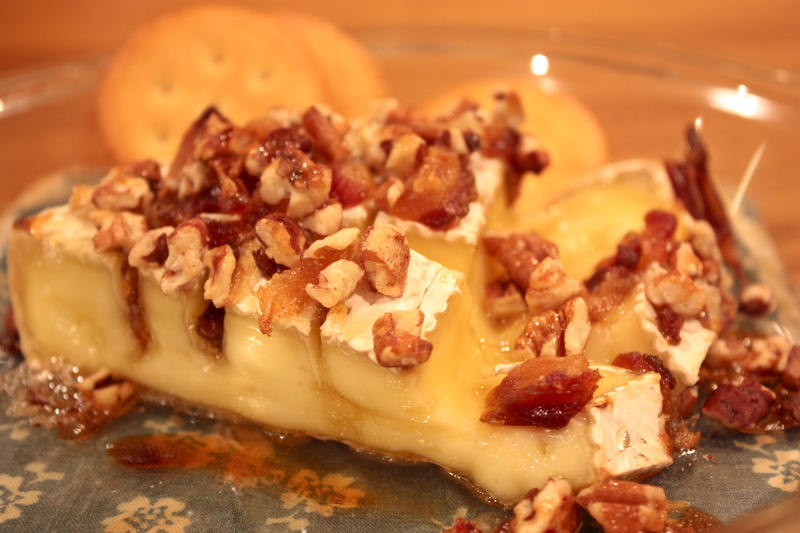 Baked Brie with Honey, Dates, Pecans | "Il faut goûter"
Chunk of brie. Score it with a knife. Chop up a date. Stuff it in the crevices. Add a handful of pecans. Drizzle with honey. Bake until slightly or so very melt-y. Eat with bread or crackers. Indulge and enjoy! This entry was posted in Savory, Sweet and tagged baked brie, Cooking, food, recipe, recipes by needtotaste. Bookmark the permalink. Brie and date potato?! That sounds lovely, can’t wait to see! I love how simple and tasty this is. We love baked brie! Baked brie with your added little goodies, some crackers and a nice glass of wine…I could go for that.